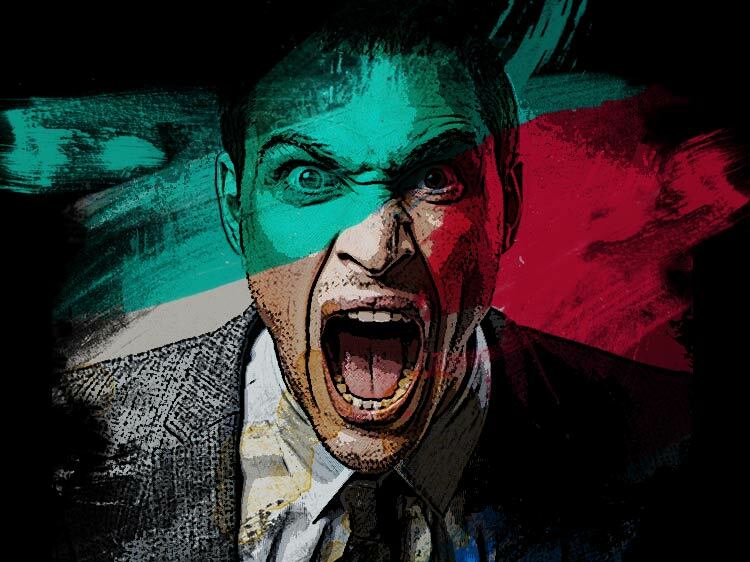 One in five corporate executives are psychopaths, a new study finds. Learn the skills to deal with this type of boss, for the sake of your own sanity. New research may have just confirmed what you’ve long suspected—that your boss is, in fact, crazy. The Telegraph reported 21% of corporate executives had clinically significant levels of psychopathic traits, or a severe form of antisocial personality disorder—roughly the same rate as that among prisoners—according to a Bond University study of 261 senior professionals in the U.S. The rate of psychopathy in the general population is about one in 100, just to put that data in perspective. Characterized by impulsive and irresponsible behavior, some signs of antisocial personality disorder include manipulation, deceit, an inability to control anger, blaming others for problems and lack of concern, regret, remorse or guilt, according to the Mayo Clinic. Sound like someone you know? Monster asked Lynn Taylor, a workplace expert and author of Tame Your Terrible Office Tyrant: How To Manage Childish Boss Behavior And Thrive In Your Job, for tips for dealing with a psycho in the C-suite. Just how crazy is your boss? First, Taylor says, you need to evaluate the situation. “If you’re losing sleep, dread going a toxic workplace or in the worst case, are jeopardizing your career by supporting poor leadership, you may be wise to move on,” she says. You can also reach out to your co-workers for support. Chances are, you’re not the only one who’s noticed your boss is a bit of a nut. Communicate honestly, openly and regularly. Miscommunication can bring out the worst in a bad boss. For example, instead of challenging your manager, Taylor says you can use positive bookends. Start a difficult conversation with your boss by saying, "I really enjoy working here.” At the end of the conversation, thank your boss for taking the time to listen. Anticipate problems before they worsen, and have solutions—not questions—for your manager. Levity is a helpful way to break the tension when squabbles arise and helps your boss realize that you're in this together. Just make sure it’s used when infractions are minor—you don’t want to make light of any egregious actions. Manage up by learning how to use positive and negative reinforcement, set limits and role model the behavior you want to see in your boss. Taylor says this is a very portable skill—helpful for most any job, even if your boss’s personality falls within the normal bell curve. Lastly, know your worth as an employee.